People buy Bitcoin because of value and values. People buy Bitcoin because it is a system of money that corresponds to how humanity has exchanged value for most of our history. Technologically, this system is based on mathematical formulae and a straight-forward verification and record system. The implications are spectacular: you can now trust exchanging value with another person or institution directly, even if you don’t know them. In terms of values, the crypto system is profoundly natural, a very human invention, based on the concepts of freedom and fairness. It is the most authentic form of money humanity has had since value was based on memory. It is characterized as set out below. A better description than the term cryptocurrencies is honest money. This money system is about more than just exchanging value; it is also about our values. The crypto system is digital technology to banking and paper money’s analogue technology. The potential, the combination of value and values, that this new (old really) system unlocks for humanity is hard to overstate. 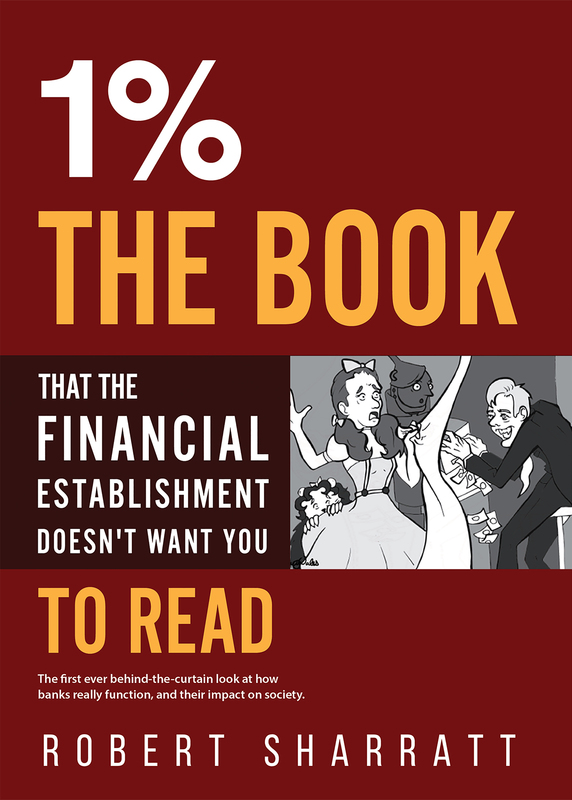 The fractional reserve banking system is intrinsically dishonest: bankers will tell you that your money is both safely in the bank and, at the same time, they are lending it out to others. They will tell you that it is your money while, legally, it belongs to the bank and they can do what they want with it. The core philosophy of fractional reserve banking is based on dishonesty. The bank tells depositors that it is their money, sitting in their account, and they can have it back at any time. At the same time, the bank lends most of the money to borrowers or uses it themselves, including as an input to their own credit money creation. The fundamental premise of fractional reserve banking is built on a lie. This lie is then propagated by the banks’ enablers in society and enforced by the state. These banks create their own “money” today, which has current purchasing power and which they give to borrowers. The value of this money, however, is dependent on future cashflows. 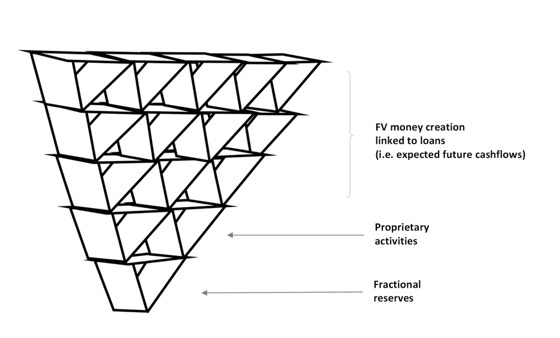 If these future cashflows do not materialize, recursive credit money destruction causes economic crises and means that the bank may not have enough reserves to cover the lie that they told depositors: that they could have their money back. Even a small change in “g”, the growth number used in the valuation formula for future cashflows, has a significant impact on the calculation of banks’ asset values. That is the reason why most banks don’t lend much again during/after a recession, regardless of the price of money set by the central bank. The money price (part of their cost of funds) is a component of asset value, but is much less important than the “g” estimate. Why is Bitcoin superior to other currencies? The crypto system is digital technology. Traditional banking/payments is analogue technology that cannot be upgraded; the entire architecture is antiquated 1970s technology cobbled together in a fit of absent-mindedness. Why is limited supply important for a currency? A currency that does not have limited supply is subject to inflation. Inflation is simply a way of measuring a reduction in your purchasing power. It is better called a Theft Index and is essentially a transfer of value from holders of nation state currencies to debtors. Usually, this happens just a little bit at a time, so you don’t notice the missing money and don’t freak out. Debtors benefit from inflation because it means that they have to repay less value, in real terms. Here is a chart of the purchasing power of the US dollar since the inception of the Federal Reserve to the end of 2017. Explains why you don’t see too many Five & Dime stores in the US anymore. Great work, Fed. It looks like Zimbabwe, just over a longer timeframe. If you hold any nation state currency that doesn’t have a fixed supply, it is guaranteed that you will lose value. The US dollar has lost 95% of its value since the establishment of the Federal Reserve System in the US (which happened regardless of whether the country was on the gold standard or not). What can Bitcoin do for society? Cryptocurrencies allow low income people to access a financial system. In the future, low income people everywhere will do their banking using the crypto system. The fractional reserve banking system has completely failed low income people. Of course, most poor people are not even accepted by these banks. The crypto system has significantly lower fixed costs than the traditional banking system and, consequently, allows everyone to benefit from financial inclusion. The poor will be able to make transfers at extremely low cost. Emerging crypto banks will allow them the benefits of the savings function, giving them the first opportunity ever to climb out of poverty. The effects for poor communities globally will be transformational. Here is a typical example of how banks treat those poor people who are fortunate enough even to have bank accounts. The UN’s World Food Programme uses blockchain technology to provide identity and has distributed millions of dollars in food vouchers to tens of thousands of Syrian refugees in Jordan since May 2017. “The major benefit to the food program so far is a large drop in payments to financial services firms, the usual middlemen for transactions. Such fees have dropped ‘significantly,’ according to Houman Haddad”, says the WFP executive leading the project. Note the major benefit: “the major benefit to the food program so far is a large drop in payments to financial services firms.” And what do banks think about Bitcoin? A scam, used for buying drugs. Imagine them telling the truth: Well, people use it to make the lives of refugees better. Worse, it reduces the profits we make getting money to these refugee camps. So, it is really terrible. Asking a banker or central banker or their enablers what they think of Bitcoin is like asking a taxi driver what he thinks about Uber – people like Jamie Dimon or Warren Buffett, one of the largest shareholders in Bank of America mentioned above. Maybe you don’t like the show of greed and all of the dodgy characters who tried to use cryptocurrencies to raise money, mostly for stupid projects, in 2018. No one does. But, you need to look beyond them to what Bitcoin and blockchain can do for society. In the future, you will have to decide: do I stand with a community of people who want to make a better world, or do I stand with the 1% and their system of money and banking? Robert is part-Canadian, part-British, somewhat autistic and lives in Geneva. He is going to link the crypto system to the real economy and create a better banking model, or die trying. His interests include mountain-climbing, chess, piano, programming and distrusting authority. In his early career, he was an M&A investment banker in London, then in private equity, and then moved to Switzerland to invest his own money. He holds an MSc degree in Finance from London Business School.